Your deepest love, expressed in a most artistic way. 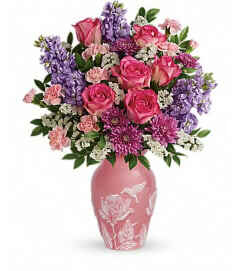 This Mother's Day, surprise Mom with a lush bouquet presented in a breathtaking work of art. 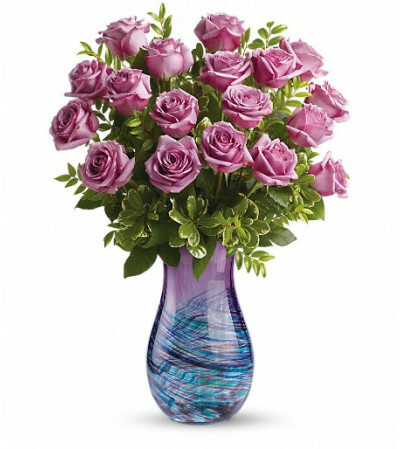 Her heart will soar when these gorgeous lavender roses are hand-delivered in this stunning art-glass vase that swirls with color and beauty. Crafted in the tradition of fine Venetian glass, this unique art piece is sure to be a favorite for years to come. 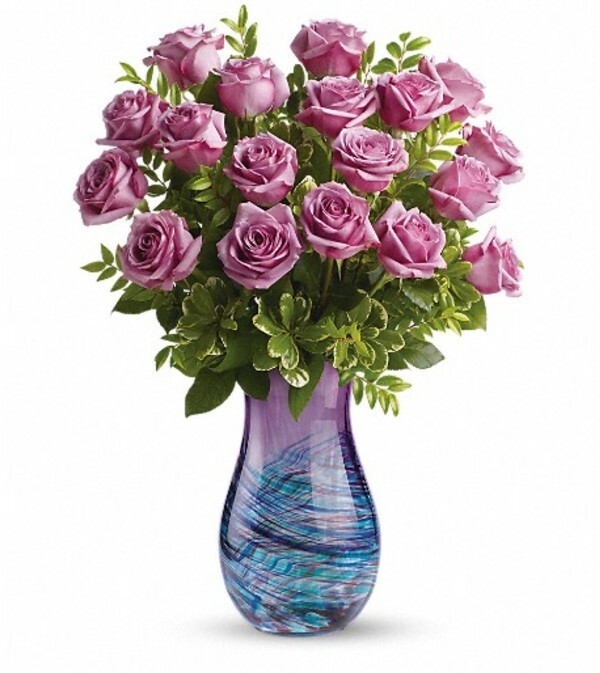 Elegant lavender roses are set off by fresh huckleberry, pittosporum and lemon leaf. 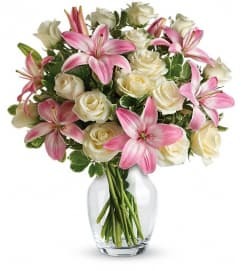 Delivered in an Artful Elegance vase.